Britain's most decorated Winter Olympian Lizzy Yarnold on Monday announced her retirement from skeleton, saying she was "ready for a new chapter" in her life. Lizzy Yarnold held her breath and had a dizzy spell as she surged into contention to defend her Olympics skeleton title in Pyeongchang. The drought is over. Dom Parsons took bronze in the men's skeleton to kick-start what they hope will be 36 hours of medals for Great Britain. 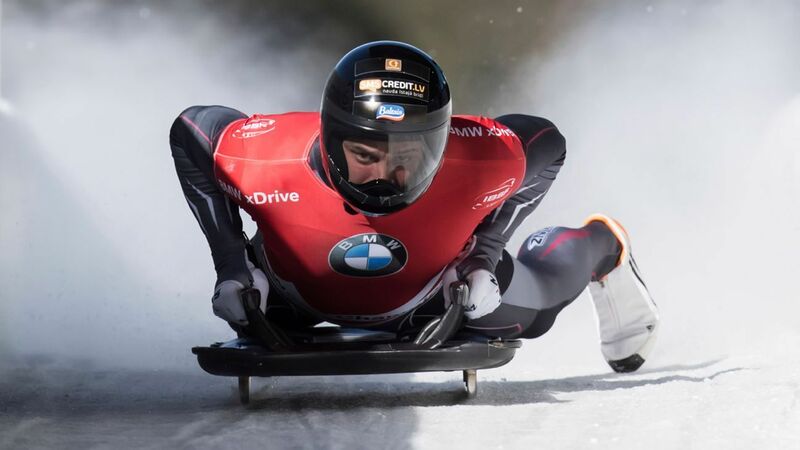 Dom Parsons has downplayed the impact of the technological advances which have irked rival teams and helped him slide into Winter Olympics medal contention. Just how did Team GB get so good at skeleton? Two successive gold medals and four consecutive Olympics on the podium -- British women have been the ones to beat in skeleton in recent Games. But how did a country that doesn't even have a full track get so good at this sport? Tom Hamilton investigates. Lizzy Yarnold will avoid eye contact and give her Russian skeleton rivals the cold shoulder if they are successful in overturning the decision preventing them from competing in the Pyeongchang Games. Lizzy Yarnold insists she will relish the honour of leading Great Britain out at the opening ceremony of the Winter Olympics on Friday despite the predicted plunging temperatures in Pyeongchang.